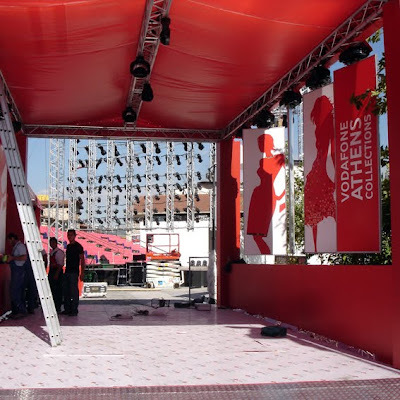 It just occurred to me, that exactly one year ago from this day, Athens Fashion Week was already ending. It was the first ever to take place in the Technopolis exhibition space instead of Zappeion and first to include so many side-events for the public to enjoy as well. It also was my first Fashion Week to cover on this blog, as I had the pleasure of participating actively in the workshops. Things were looking so bright, like a new era was commencing for Greek fashion. I knew there were organizational problems last spring (including an official name change due to copyright reasons) but skipping it altogether? That's not much in fashion. Anybody that has any insider information on the subject, please do tell! Provlimata organosis. Polli Ellada mou thymizei auto..